Stream “Soft Option,” a track from the Copenhagen four-piece’s debut album, Seek Warmer Climes. Lower is the Denmark-based rock fourpiece of vocalist Adrian Toubro, guitarist Simon Formann, bassist Kristian Emdal and drummer Anton Rothstein. 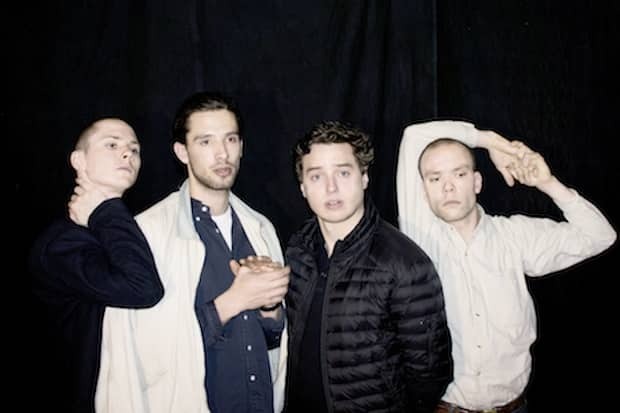 Last time I mentioned them here, they were rehearsing out of the same Copenhagen DIY venue as Iceage, with whom they now share a label (Matador), along with a penchant for whirlwind arrangements. "Soft Option," the second single from Lower's debut LP, Seek Warmer Climes, has enough frayed guitar chords and song-interrupting tremolo passages to literally sound like its enacting Toubro's words about tension's tearing at your heart strings/right under your skin. Download the MP3 via Lower's website, pick up a copy of the record from Matador come June 17th, and check out a band-directed video for the track below.